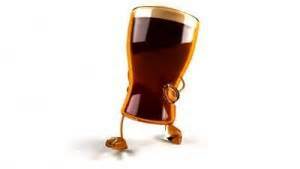 Drink walking increases risk of accidents/fatalities. Young people at risk. Drink walking is a trend that is common among adolescents, where drink walking or walking while intoxicated in public places is linked to an increaseD risk of injuries and fatalities. The trend is found in young people, aged 17-25, and friends were the strongest influence on the intention to drink and walk. A survey was conducted by the QUT’s Centre for Accident Research & Road Safety in Queensland (CARRS-Q), where an average of two Australians are killed every week. The results revealed that 50% of participants walked while intoxicated and the fatalities associated with drink walking is associated with 5 per cent of all road crash fatalities. “Drink walking, or walking while intoxicated in a public place, is linked to increased risk of injury and fatality.” “The study found that the risks associated with drink walking were seen to be less dangerous than drink driving, however, research shows that in Australia on average 100 alcohol-affected pedestrians are killed each year.” Dr Lewis said. The questionnaire determined that friends, parents and peers significantly influence the decision to drink walk, with young males most at risk. ← High blood pressure in adults may be caused by childhood malnutrition.